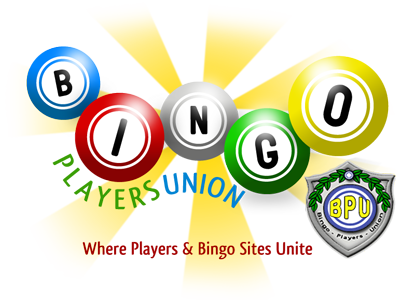 BingoPlayersUnion.com • View topic - Problem with Bingomania.co.uk Resolved! Post subject: Problem with Bingomania.co.uk Resolved! I joined bingomania.com a while ago and when they started a UK version, I joined that also. The site bingomania.co.uk was for UK residents only and players from the USA site could not play here. Last week I won a large amount on a slot game on the UK site. I got lucky or so I thought and hit 5 wilds. I tried to make a withdrawal of the £6000, shaking as I did so. To me this was a large amount of money. I was so excited. I had an email to say my account had been closed and I would not get the money as I had multiple accounts. I replied that I only had the one. They replied back to me saying I had another id which was the one at the USA version of the site. I tried to explain that the other id was not for their site but they are ignoring my emails now. I am gutted as I had told my 3 grandchildren I would take them to Disneyland when I got the money through. Welcome to the forum yoodevilsue. I am sorry it is under these circumstances. We will see what we can do to help you with this and thank you for posting in the forum. Welcome to BPU!! Here is hoping you get some good news!! So far Mania has a pretty fair and decent reputation. Hopefully, they will work with this issue until it is amicably sorted. Time will tell. Hi yoodevilsue! Thank you for bringing your isssue here to share with other players. Players need to hear stuff like this. We have review all your documentation and and Bingo Mania's rules. We have contacted Management at Mania, on your behalf, and are awaiting a reply! We will update the membership, on this important issue, when we hear something. Post subject: Re: Problem with Bingomania.co.uk Resolved! You are only allowed to register once per person. Two accounts per household are allowed in cases where the second player in the household has requested and received permission in writing from Bingomania management. Multiple accounts are strictly forbidden and will result in all accounts being disabled. Any winnings won while multiple accounts are active will be forfeited. After Many back and forth emails between BPU, yoodevilsue and BingoMania.co.uk Management arrangements were made that BPU could review yoodevilsue’s accounts. The review did show that yoodevilsue did have Multiple Accounts, one was opened in 2005 and the other in 2007. This was in violation of BingoMania.co.uk rules and the site was within it’s rights to decline her withdrawal and close all her accounts. Yoodevilsue contends she was unaware that she had multiple accounts and it was an honest mistake. This could very well be the case and we can’t dispute this fact and we are not questioning her honesty! It’s very reasonable that this is what happened. But for whether reasons a players ends up having multiple accounts sites are within their rights to not honor a win if a violation of their rules is committed. You just can’t get by the argument Sites put forth, when they say Players are asked to read our rules before they play at our sites. We urge all players to read the rules of any site you deposit at! Make certain you don’t have multiple accounts at any site! If you have any doubts, that you may have multiple accounts, contact the site and have them check for you. Be sure to keep a copy of your request and their reply in a safe place. I say that because if they write back that you are OK than later when you try and withdraw, say there is a problem, you have something in writing that will probably get you paid. I hope you all learn something from this Multiple Account Issue yoodevilsue presented here. That was a $10,000 win that was denied because of Multiple Accounts! If you are playing at a site, where you have Multiple Accounts, you are wasting your money depositing there. Most often depositing at any site is never a problem, the problems are more likely to surface when a withdrawal is involved. The argument that sites know when players have multiple accounts, is refuted by some sites in the industry. They contend that Since the advent and wide use of dynamic IP addresses, we have no effective means of discovering multiple accounts via technology. So as it stands now the burden of responsibility for having Multiple accounts rest squarely on you the player. Hopefully! Sites may start putting notices on their sites home page and include the warning in their many newsletters and promos they send to their players. Also of interest is during our discussion with BingoMania.co.uk we were told that BingoMania.co.uk and BingoMania.com are no longer related other than the fact that they share the same name. They contend that Since the advent and wide use of dynamic IP addresses, we have no effective means of discovering multiple accounts via technology. If that was true, they wouldn't be able to tell that somebody has multiple accounts when a request for a payout is made either. Especially since most of the time the same IP number is being used for the request for cashout as was used to deposit with. With their added comment that BingoMania.com and BingoMania.co.uk are NO LONGER connected, I would almost be willing to bet that the original account in 2005 was a BingoMania log in account that carried over, which is totally unfair to the players....and this happens frequently since sites merge and break away from each other almost daily. Any excuse to NOT payout will be used. "via technology" is used when I try to even register at a number of UK sites that don't accept USA players because I get a window that says that immediately as I try to register and that's been going on for quite awhile. There are some sites that also pop up a window telling me I already have an account so the technology IS there...all they have to do is get off their greedy butts and use it BOTH ways to be fair instead of only when it's convenient for the site. I understand.... but THIS player is not from the USA. So, who can say if the same happens when you live in another country? I am in total agreement that this "excuse" (a rose by any other name is STILL a rose) of multiple accounts is none other than a "gotcha" by SOME sites to retain funds at their sites. However, Mania, even by your own admission, seems to be an above board site with few player issues in the past. It makes me sad that players lose money because they fail to read and/or undertand rules at sites. In the USA, "ignorance is no excuse". Looks like that has bled into the online bingo world as well. I would venture to say that the most expensive lessons are the best learned.